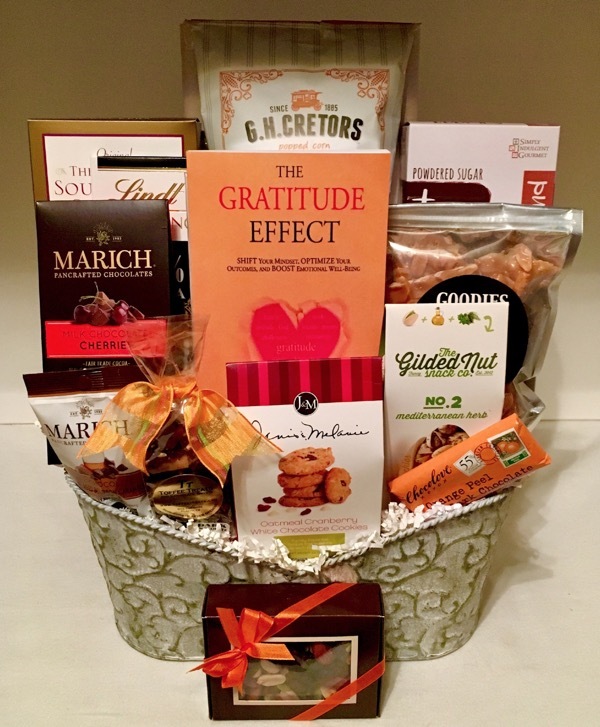 Give the thoughtful gift of Gratitude, that features a perfect blend of salty and sweet gourmet treats, and The Gratitude Effect by Richard J. Cavaness. A gift that can be given to thank family, friends and business associates. Three Cheese Sourdough Crackers by California Coastal Baking Co. Note: This item is sensitive to heat and should not be in transit for more than 2 days during summer shipping months (May-October).